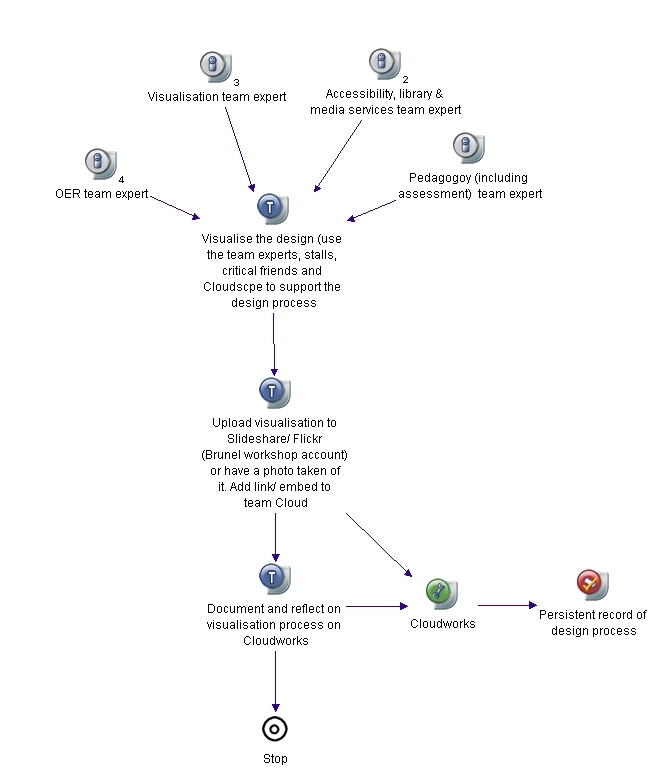 Work in teams to draw up a visualised overview of your Blended Learning module or short course. The morning activities have been designed to give you the skills and knowledge you need. By this time you will have considered design questions such as staff to student ratio, balance of physical to online learning, the technologies you will use, assessment strategies, pedegogical approach and accessability issues. You, or someone in your team, will have learnt about approaches to visualisation and representataion too. We recognise that this is just a one day workshop - and course designing often takes far longer than 6 hours - but we anticipate that by the end of this activity you will have a sound design outline on which to build. Please make proactive use all of the resources that you have to hand.